A lover of all things sport. Admittedly biased towards all Australian teams and players. Co-owner of the NBA Facebook page, NBA 360. Trying to make my way as a sports journalist. On Saturday night, the Adelaide Crows watched their season go to dust as the Demons, fuelled by an incredible third quarter midfield display, put to rest some of their demons from last week’s final quarter meltdown against Geelong. A Golden dynasty coming to an end? The Golden State Warriors have been basketball magic over the past four seasons. They’ve had 320 wins (including postseason), two titles and three finals appearances, with a chance to win another title next month. Should we believe in the Adelaide Crows in 2018? 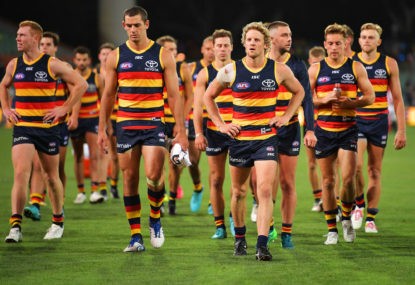 The Adelaide Crows’ 2018 season came to a close in a similar, all-too-familiar manner to that of years gone past; a promising home-and-away season led to a disappointing, abrupt end to the year in the finals, and controversy followed as highly-regarded players fled for other clubs. How far can the Utah Jazz go? The Utah Jazz were never meant to make the playoffs. 43 games into the season and they were out of the playoff picture, with a record of 17-26. As the ATP’s next generation of players begin to make major strides in the rankings and as the tour’s elder statesmen begin to drop off, here are the top five men’s players under 22. 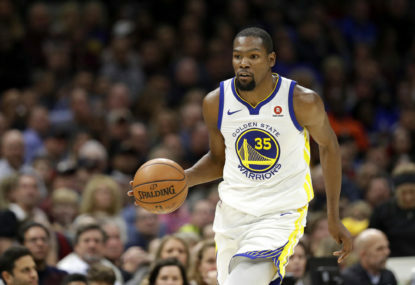 The Western Conference, boasting the winner of three of the last four NBA Championships, markedly improved in the frenetic 2017 offseason, as the Eastern Conference’s elite players converged to the west, forecasting an ultimate battle for Western Conference supremacy. 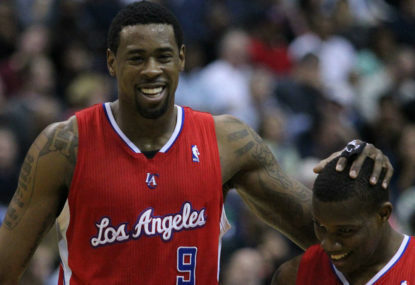 Are the Clippers destined to sink in the loaded Western Conference? The Los Angeles Clippers apprehensively watched Chris Paul take his talents to Houston in a trade which saw the all-star guard team up with James Harden and Mike D’Antoni. The Adelaide Crows premiership dreams were brutally crushed in Saturday’s AFL grand final, as Richmond sensationally ended their 37-year premiership drought with a 108-60 victory. The 2017 AFL grand final has been billed as a battle between two clubs who have suffered too much since their most recent triumph. For the Tigers, a victory would end 37 years of heartache. The Crows, a win would be 19 years in the making. 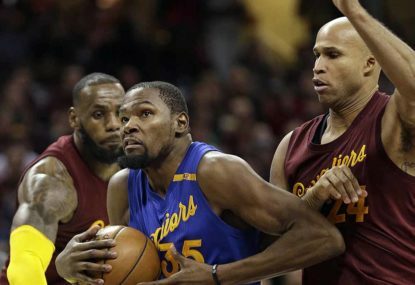 The Golden State Warriors conquered the NBA world in June when they won their second championship in three seasons. 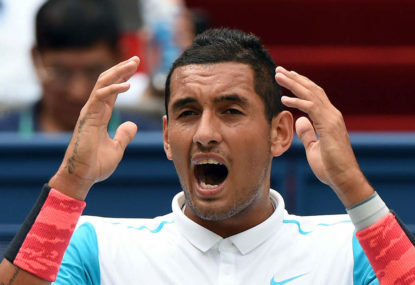 Nick Kyrgios is talented, exuberant, jaw-dropping and damn frustrating. 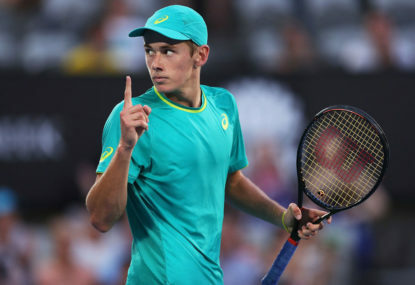 The 21-year-old Australian bowed out of the U.S Open singles draw in four sets to compatriot John Millman. Is West Coast’s best good enough? 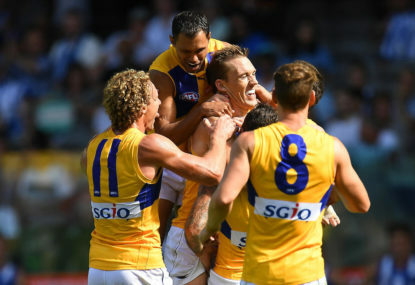 The West Coast Eagles locked in their 2017 finals berth in spectacular fashion on Sunday afternoon, defeating the Adelaide Crows by 29 points, shattering the dreams of the Melbourne Demons along the way. Lever or McGovern: which out-of-contract star is Adelaide's number one priority? 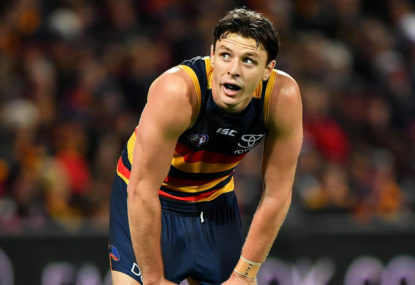 Jake Lever and Mitch McGovern have been the centre of trade speculation in Adelaide over the past few months. 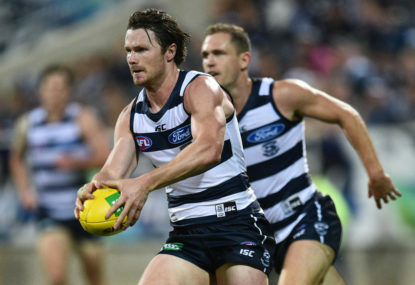 With just one round remaining, and the All Australian awards just eight days away, let’s take an early look at who’s in, who’s unlucky to miss out, and who’s around the mark. Which AFL star would you build your team around? Suppose you are the general manager of a newly introduced AFL club with the luxury of choosing any one player to build your team around. 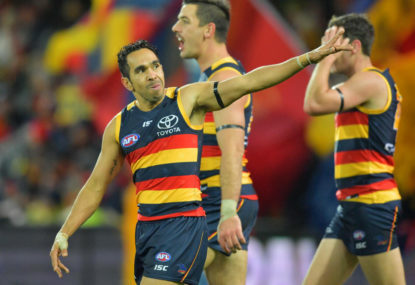 The Crows are primed to win – can they produce? The Adelaide Football Club has been building for quite some time now. Ever since their most recent premiership, in 1998, they have had a number of chances at winning a third flag. 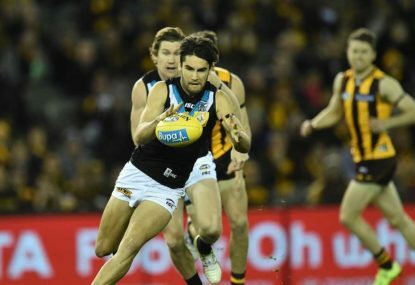 Port Adelaide was embarrassed in showdown 43 on the weekend, which they lost by a showdown record 84 points against the highly fancied Adelaide Crows. So-so. Uneventful. Uncompetitive. 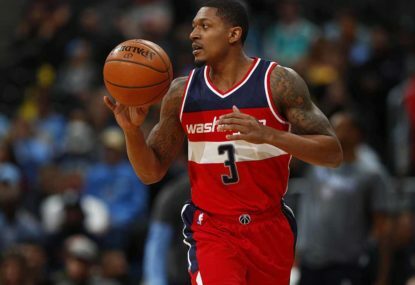 These are the words being used to describe the Washington Wizards offseason to-date. And for the most part, they are accurate. Have the Crows been worked out? Flag favourites. Offensive juggernaut. Dynasty. 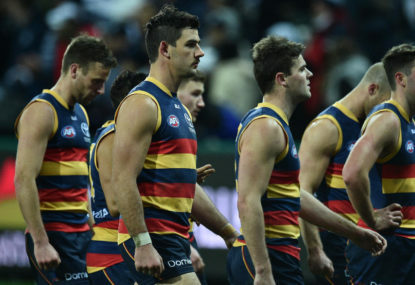 These are the phrases that have been used in discussing the ladder-leading Adelaide Crows this season. Yeah I agree mostly. 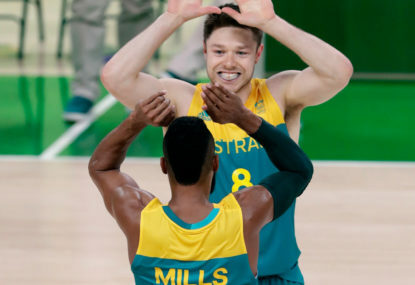 I think Mills has developed more into a SG over the past few years than he used to be, definitely could play that position effectively alongside Ben. The health of Bogut is huge – his rim protection compliments our perimeter defence nicely, as does Baynes. Agree on everything aside from Goulding. I’m not sure he gets on the roster unless there are a number of injuries or NBA guys not wanting a game. That would be something special for sure! Thanks for your reply GJ. Regarding Doedee, he has certainly played much better than what Lever has this season, but let’s not forget that at times last year Lever was genuinely in the conversation for an AA nod. I’d say that Doedee this year isn’t quite as good as Lever last year. 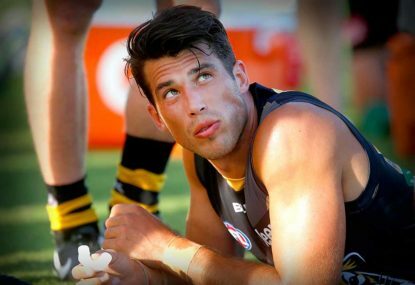 Regarding Hartigan and Kelly: you are right, they don’t exactly lack pace, more composure when they are under pressure, and especially against a team’s smalls like Richmond. I will say though that Hartigan did an incredible job on Robbie Gray as you mentioned, but Gray was really battling with soreness, and once Hartigan beat him in the air, Gray wasn’t nearly his old self on the ground. I didn’t mention Murphy because currently he is not in the Crows best 22, but could have given him a mention anyway. Probably should have mentioned Knight too, you’re right. 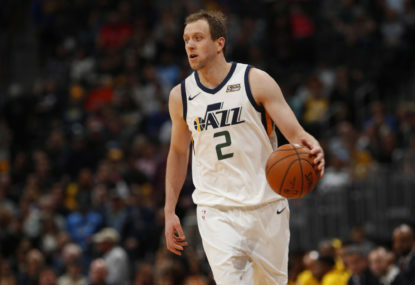 Very good article, I really enjoy the Jazz, and think they are destined for great success with Donovan and Quin Snyder calling the shots. I find interesting the teams that are currently leading the tank charge – Phoenix, Dallas, Memphis, Orlando, Sacramento, and now New York. Teams that seem to be, with the possible exception of Dallas, stuck in this pattern of tanking for a long time now. It makes you wonder whether it truly is more valuable to build a positive culture, establish solid veterans to lead young guys as they develop, draft well in the 8-12 sort of range, and then build smartly via free agency. Thanks Fionn! Agree with you about Zverev’s forehand, he’ll need to put a lot of work in for it not to be exposed in Grand Slams. Yeah for sure, I’m interested to see how OKC works together with the nature of their stars being ball dominant players. I think they have a good mix though, with Roberson, Patterson, Grant etc they have a good mix of defence, athleticism and offense. Minny should be pretty good, although their three stars are all iso players too, which could be interesting how they play together. I agree on Teodosic. He strikes me as a better version of Ricky Rubio, and he’ll love playing with Blake and DJ. It’s interesting with the Spurs. From what we’ve seen they match up extremely well with GS, but the sample size is too small to know for sure. 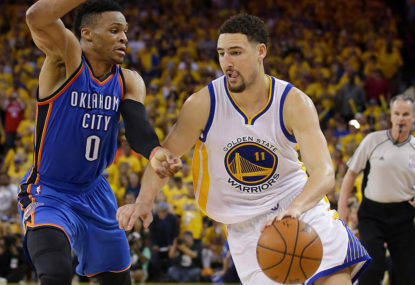 I think over seven games the Warriors firepower would prove too much for them. As for Houston, I like their chances. Harden and CP should be fit and fresh come playoffs, something both have struggled with over their careers. If they get into a good flow, they’ll be hard to stop. As you say though, it’s hard not to go with the Warriors out west. Yes Keath, Doedee and Cheney are all capable of playing at AFL level, but none of them provide run off of half back, which I think has become their biggest offseason concern with Smith’s injury. Wigg can play that role for sure I would imagine. Douglas got caught with the ball far too often in the GF, and whilst he has been a great servant of the club and had a terrific 2017 season, I think we may start to see him slow down a bit in the coming years. And Knight for me is great as a tough inside midfielder. I’ve always liked the prospect of a team trading draft picks, within reason of course, for proven top-end talent. 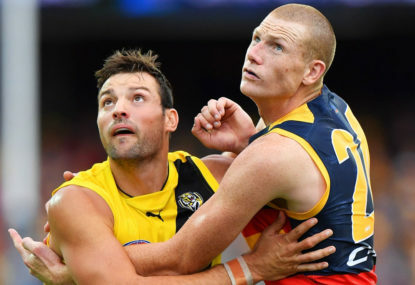 And while Gibbs isn’t an elite midfielder, he is someone who could really help out the Crows, and bolster their depth should more injuries occur. Apparently Collingwood are a likely destination for Lever as they are willing to offer two first round picks. As Sammy said, it’s impossible for a forward line to fire when the midfield is being beaten as bad as the Crows was on Saturday. That said, Jenkins was beaten on too many occasions when all he needed to do was halve the contest. Otten, as much as I love him, was just terrible, especially when he had to deal with Rance. Tex was okay, kicked his two goals and presented well, but below his best. And Betts, it just wasn’t a game for small forwards given the way the ball was presented. I do think the addition of McGovern would have helped dramatically, but it clearly was not the difference in the game. 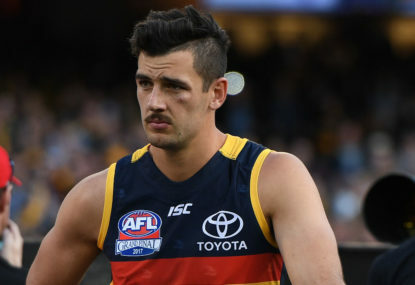 As for Gibbs, the Crows really struggled to get any penetration off of half back on Saturday, and that could become a problem next year, especially if Laird was to miss time through injury too. I see Gibbs as being able to fill in that role until Smith returns, and then playing the best part of the finals as an inside mid/wing depending on how the rest of the team is going. Definitely a lot to think about, and if they are confident in their recruiters, holding onto the draft picks might be the best option anyway. I think there are doubts over Rockliff’s health. He played the latter stages of last season at full forward, and although he is capable at that position, it’s not a good sign. It would depend of course on what Brisbane want for him and the Crows salary cap situation, but I think their priority would be Gibbs, as he also is able to play a Brodie Smith type role and on the wings if needed. Port have been heavily linked to Rockliff from what I have read. Yeah you are right about Lever, my mistake. Yeah you’re right, my mistake. Coleman Medal Quiz: Can you name the Top 50 from 2017? Read it again. Yeo was mentioned, along with Barrass and McGovern. Would certainly be worth considering. The draft this year is a deep one, so a first round pick is enticing. I’d say it would need a slightly more appealing piece than Broomhead though, depending of course on what the other offers are. Adelaide is well known for having great list management. You worry about the culture it creates when young players continue to leave though, it can’t be a good sign. 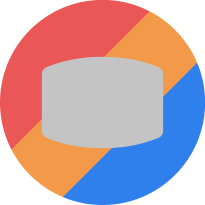 Haven’t heard of that rumour, where’d you see that? You’re right, the narrative is changing all the time. I think all signs point to him playing elsewhere next season. That said, if he plays a key role in a premiership before then, I think that makes it slightly more forgivable. They do, but the forward line does seem to work better with McGovern in it. You would obviously hate to let either of them go, though. There’s been rumors that the Crows have put an offer to McGovern closer to $700,000. The upside is that if any of them chose to leave the Crows should be able to get some good young talent / picks in return.